1898/1920 (ca. ), nine different imperforate PROOFS incl. landscapes ½d., 1d. and 2d. in different colours on gummed paper, Penny Universal 1d. 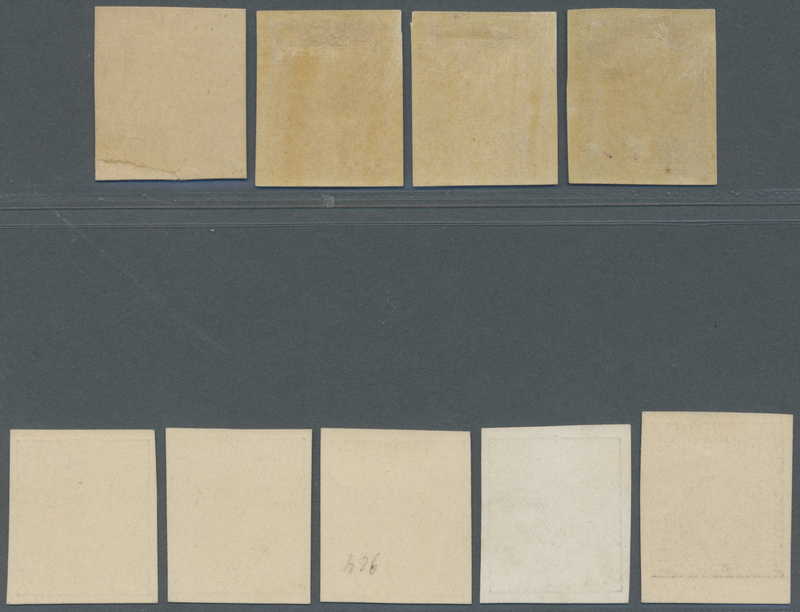 black on cream ungummed thick paper and KEVII ½d., KGV ½d., 1½d., 2d. and 3d. in black on white medium ungummed paper, attractive lot!